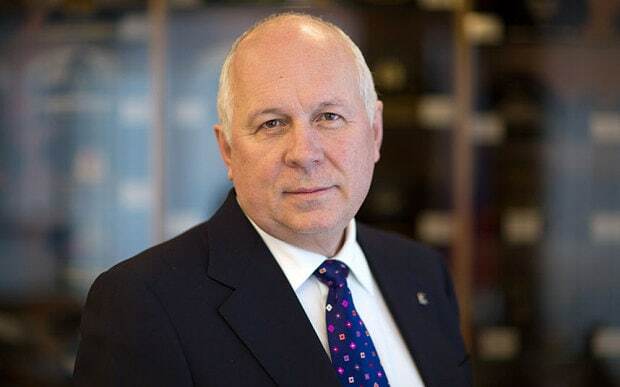 Sergey Viktorovich Chemezov (born August 20, 1952, Cheremkhovo, Soviet Union) is CEO of Rostec Corporation (formerly the Director General of Rosoboronexport), and a lieutenant-general. In addition, he is the Chairman of the All-Russian Public Organization - Russian Engineering Union, as well as President of the All-Russian Industrial Association of Employers - Russian Engineering Union. Chemezov is a member of the commission on military-technical cooperation between Russia and foreign states, through which he actively advocates for Russia to maintain and strengthen its position as the largest player in the global market for military products. Chemezov is an influential part of an elite group of former spies and security men known as the Siloviki. Closely identified with one of the Kremlin's shadowy siloviki clans, was appointed by a presidential decree on November 26, 2007 as the Director General of Rostec. He holds a military rank of Colonel general. Chemezov is a trusted ally of President Putin, whom he has known since the 1980s when they lived in the same apartment complex in East Germany. The created operator of fire-prevention systems first of all is going to strengthen control over trade and business centers. This market is billions of rubles. Creditor banks are looking for new owners for Elga deposit. GC "Rostekh" and Renault can redeem 100% of the shares of PJSC "AvtoVAZ".